Emaar Properties PJSC, the global property developer, has further strengthened its portfolio of premium hotels, residences and serviced apartments in Downtown Dubai, the most visited tourism and lifestyle destination in the world, with the launch of The Address Residence Sky View, the latest addition to The Address Hotel + Resorts’ portfolio and a flagship property for the brand. The towers serve as a perfect complement to the thriving world-class lifestyle in Downtown Dubai, described as the most prestigious square kilometre on earth and ‘The Centre of Now.’ It will be linked directly to the Dubai Metro and The Dubai Mall via the new air-conditioned travelator. Spanning the tower complex is a unique ‘Sky Bridge’, which includes a signature restaurant, ballroom, infinity pool with amenity deck, which offers 360-degree vistas of Downtown Dubai and panoramic views of the Gulf. The launch of The Address Residence Sky View will be held simultaneously in Dubai and Riyadh, allowing clients in the two key markets ease of access to the new release. It follows the overwhelming investor response to launch of The Address The BLVD, the first branded hotel real estate offered in Downtown Dubai, and The Address Residence Fountain Views I & II. The Address Residence Sky View also complements Emaar’s focus on leveraging the strong investor confidence in Dubai’s property market and surging demand for premium residences and hotels in central locations. Mohamed Alabbar, Chairman of Emaar Properties PJSC, said: “The Address Residence Sky View will be another impressive, iconic structure to the Dubai skyline, offering unparalleled views of Downtown Dubai and beyond. Emaar has been shaping lifestyles since its inception, underlining our strategy to create long-term value for our stakeholders. The project builds on the growth of the property market and tourism sectors of Dubai, offering investors a premium choice of home in the most prestigious square kilometre on earth. “The Address Residence Sky View will become the referral point for all future projects from design and architecture to its host of services, while focusing on creating prime real estate assets in Dubai that contribute to the city’s economy,” he added. The Address Residence Sky View, at a height of over 230 metres, brings a new dimension to spatial design to Downtown Dubai. All 532 serviced apartments are fully furnished and designed to ensure optimal light across all living spaces and with floor-to-ceiling windows that offer stunning views of Downtown Dubai or the Gulf. Exclusive amenities are combined with an interior design philosophy that evokes quiet elegance and refined luxury, laying the foundation for a truly unique lifestyle experience at the gateway to Downtown Dubai. A dedicated lobby for The Address Residence Sky View welcomes residents and guests with refined warmth and elegance, as distinct materials and textures, including wood, glass, stone and beautiful leathers with soft lighting, evoke a sense of luxury. Envisaged to become a much sought-after address in Downtown Dubai, The Address Residence Sky View will also serve as a preferred business hotel of approximately 180 keys, appealing to visitors to the neighbouring Emaar Square and Dubai International Financial Centre. The development is conveniently close to the Mohammed Bin Rashid Boulevard, billed as the world’s most prestigious boulevard with an extensive choice of retail and food and beverage choices. Potential customers can pre-register interest for the Dubai launch of The Address Residence Sky View from 10am in Dubai, on February 27, 2013, at http://www.emaar.com. The Dubai sale will be to the online applicants on a first registered, first served basis on March 2, 2013. They can also call toll-free 800 EMAAR (36227) for more details. In addition, potential customers for the Riyadh launch can visit Four Seasons Hotel Riyadh, Kingdom Centre and will be offered purchase opportunity on a first come, first served basis. Only legal residents of Saudi Arabia will be eligible to purchase from Riyadh. Backed by strong investor response, Emaar Properties has marked several key new project launches in recent months in Downtown Dubai and Arabian Ranches, its established masterplanned communities. Emaar is also developing the first residential community in the newly launched Mohammed Bin Rashid City, the largest of its kind real estate development in the region, along with Dubai Holding. Downtown Dubai is Emaar Properties’ flagship 500-acre mixed-use development, and features world-class assets including commercial, residential, hotel, entertainment, shopping and leisure components set in open green spaces dotted with lakes and other distinct water features. Downtown Dubai was in global spotlight hosting the New Year’s Eve Gala, which attracted a record 1.7 million visitors. Emaar Properties, Dubai’s largest property developer, said it will expand Dubai Mall to include luxury homes, serviced residences and a new hotel as part of its 1m sq ft expansion. The developer, which in February announced plans to expand the world’s largest mall, will also add a shopping boulevard lined with restaurants and water attractions. The sale of the residential units, which will feature direct access to the new shopping boulevard as well as views of The Dubai Fountain and the Burj Khalifa, will launch soon, the developer said in a statement Thursday. “With the mall expansion to feature a modern hotel, luxury homes and serviced residences, designed to the world-class standards associated with Emaar, we are further contributing to strengthening Dubai’s powerful growth drivers – the tourism, retail, hospitality and business environments,” said Ahmad Al Matrooshi, managing director, Emaar Properties. 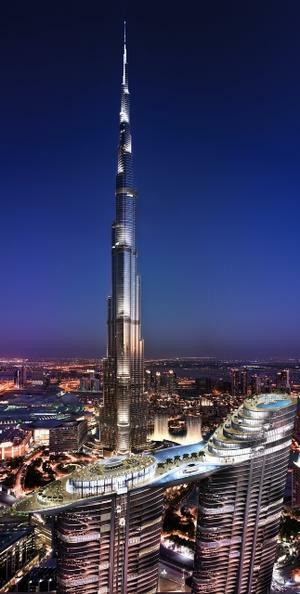 Emaar said it had completed the masterplan for the extension and expected construction work to begin soon. Dubai Mall, which boasts 1,200 retail stores and 160 food and beverage outlets, was the world’s most visited shopping and leisure destination last year. Over 54m shoppers visited the mall between January and September, up 15 percent compared to the same period the previous year. Dubai, home to some of the world’s glitziest shopping malls and an indoor ski slope, has staged something of a recovery this year, partly due a tourism and retail boom. Tourist arrivals increased 10 percent and hotel revenue 19 percent in the first half of the year. Retail accounts for around 30 percent of GDP in the emirate, according to Standard Chartered estimates. Dubai is home to about 40 shopping malls. Emaar last week said it would cooperate with Dubai Holding to build a new tourism and leisure development in the emirate, which will include an even bigger mall. Mohammed bin Rashid City will feature a retail complex ‘Mall of the World’ and more than 100 hotels able to accommodate up to 80m visitors a year. “The current facilities available in Dubai need to be scaled up in line with the future ambitions for the city,” Dubai ruler Sheikh Mohammed Bin Rashid Al Maktoum said in a statement. Dubai aims to become a business and cultural capital for 2bn people in the surrounding region, he added. The emirate also announced this week it had approved plans for a AED10bn (US$2.7bn) entertainment and leisure development to the south of Dubai in Jebel Ali, which will include five theme parks.